Ok, everything in a video for this one. And a thanks of course to Alwarren who developed the script. EDIT: Would be nice to see some of you post your finished models. or even release them to the scripts / addon section! Quick tip. 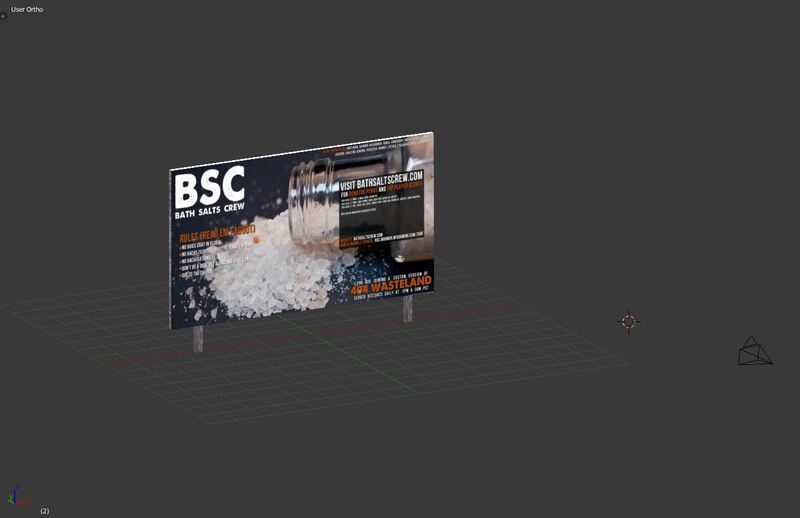 Press 'N' in the viewport and find the check box "Textured Solid" under "Display". 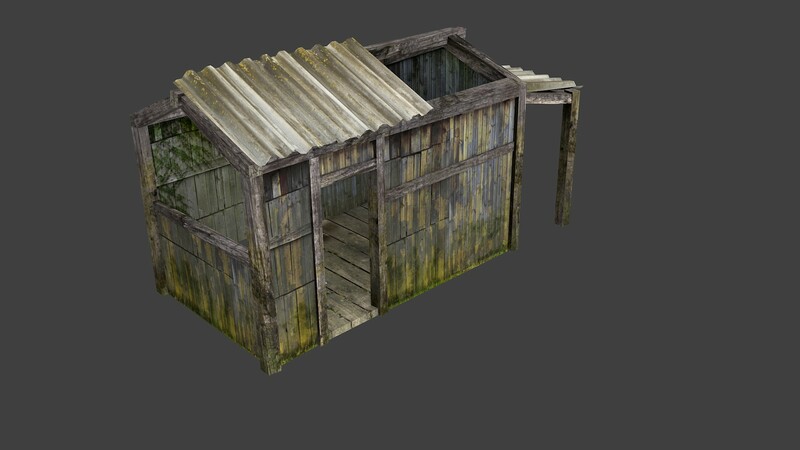 Enabling this will render the texture without having to faff around with lights! 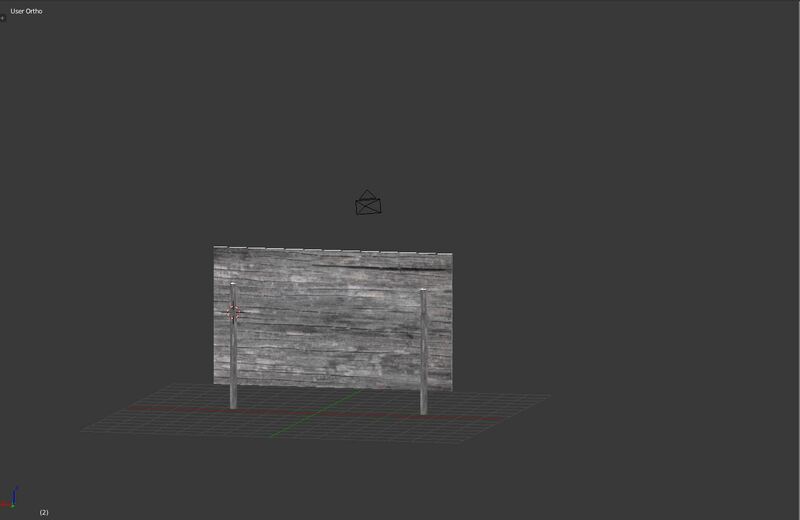 I was using cycles render before. but its not compatable with the script (I should have mentioned that in the video). 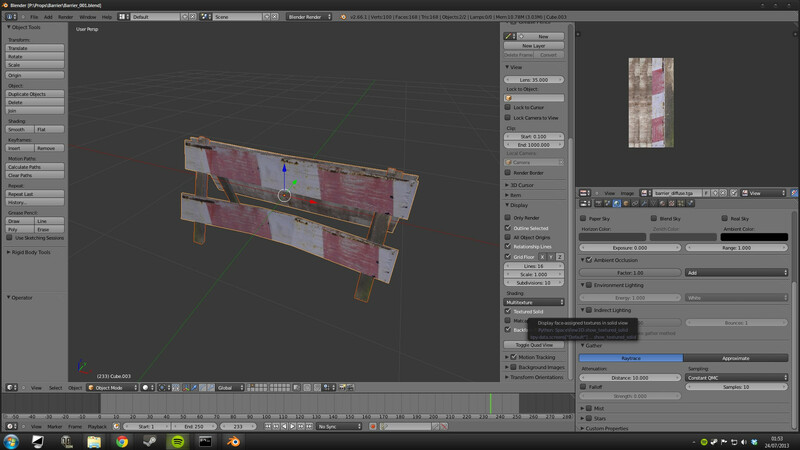 I'm just working on getting it in game; I think I need roadway LOD to allow players to enter it (am I right?). Once its in the game I'll probably have to create normal/spec maps. Another thing: I've got two UV maps, one for the ambient occlusion bake (ie, every face has its own UV space) and one for the diffuse/normal/spec maps (UV's overlap to get higher resolution). Do you know exactly how I specify what material channel goes to which UV set? I have never heard to a roadway LOD, but then again I have no experience with buildings yet. OK, for the second point, I hope to cover this myself and get up to speed a bit too. This will need be created in your rvmat file and then added within oxygen. Good luck, also if you get anywhere or get stuck, start a new thread as I can see it being very valuable info to have to hand! I've made more progress. It's in game now! 3. Doesn't like being shot. Just on my laptop at the moment, but will have a look in a couple of hours when on my pc. Open O2, hit "Ctrl + A" to select all vertices and then hit "E". You should then see to text fields, bottom left. 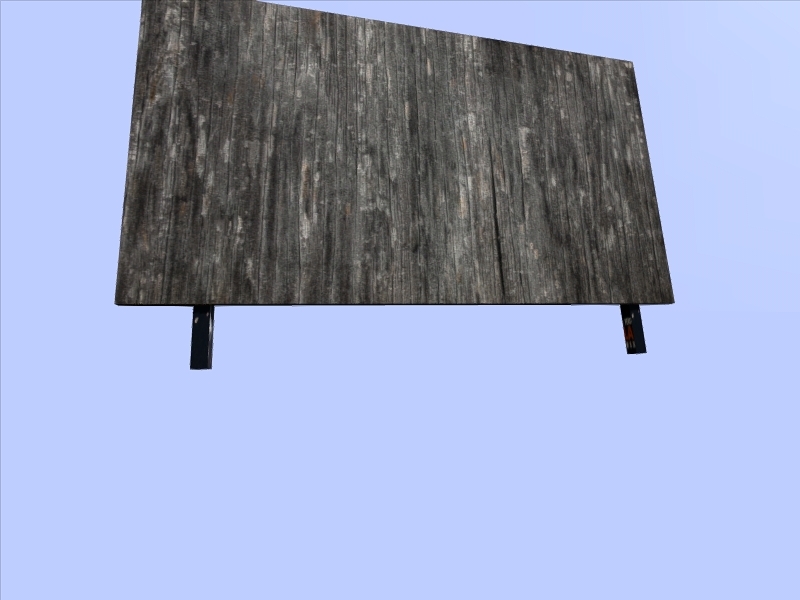 Open the file explorer one under 'Material' and then wood.rvmat. Note - it may change the look of your model (make it slightly orange coloured), that is because the materials need to be setup. You might be able to add your AO bake file in here. Thanks mdk, that barrier looks really good to! I fixed the texture errors by correcting a lot of errors (references and PixelShaderID ) in my .rvmat file. I also went and created the Normal and Spec maps. Thanks for the wood.bisurf, I've used that and it seems to work correctly. I believe it needs to be defined as a type of HouseBase rather than vehicle? I will try and write a config.cpp for you. Haven't quite worked out the Config.cpp stuff yet, might have another go tonight. With regards to multiple UV sets: Apparently neither the .OBJ and the .p3d exporter have the ability to export multiple sets which makes life considerably more difficult. I've asked the creator of the .p3d exporter to consider including the option. And yes, I'll do a tutorial. What content would you want? Creating from scratch, UV mapping, creating the various LODs? Great tutorial, ive been following them for a while, but whenever i try to export as a p3d file, it doesnt export. I dont get any errors either, Ive tried running in adminstrator but when i did that the texture loaded up as all pink, and I couldnt export that either, does this have to do with the converter you provided or something on my side? 2. Remove all cameras, lights etc. 3. With onject mode active, press 'A' to select all. 4. 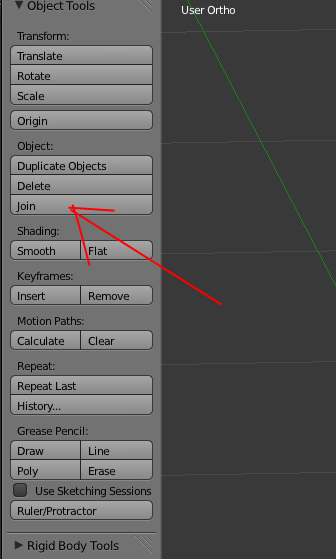 Under the object menu (photo below) hit 'Join' (If its grayed out, you might just need to select one object, then 'A' and 'A' again (sometimes blender is weird like that). 5. Try and export now and see if that works. 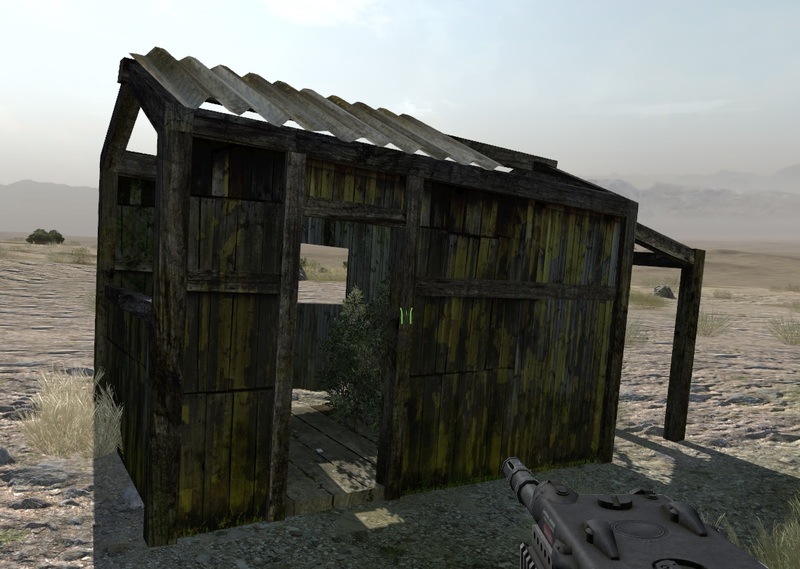 After trying what you suggested it still doesnt export, ive tried running it as admin, exporting to different places but it will never export, and im sure i have the Arma toolbox enabled, any other suggestions? Go to C:\Users\yourusernamehere\AppData\Roaming\Blender Foundation\Blender\2.67\scripts\addons\ArmaToolbox/Settings and put the path to O2Script.exe there. Tried that, still no luck :/ If anyone wants to jump in a teamviewer session and possibly help me that would be great. I followed your tutorial shinkicker, but somewhere, somehow, I messed up. I apologize for the wall of pictures. 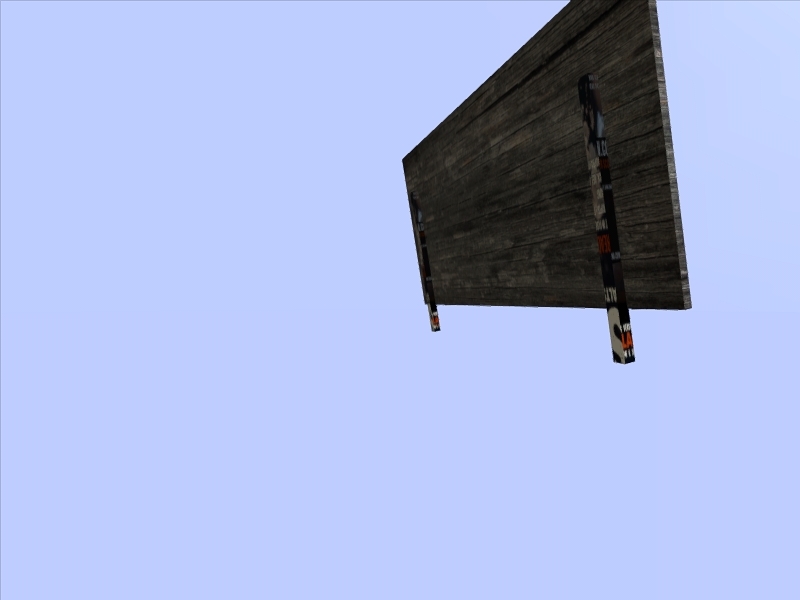 I figured I just had the paa files swapped in blender, but as far as I can tell I don't. Both textures are to the power of two. Whatever it is, I'm probably going to feel like a massive idiot because its probably a simple fix.